Skinceuticals, a multifunctional correction serum that helps increase hyaluronic acid levels in the skin. Skinceuticals Hyaluronic Acid Intensifer serum. 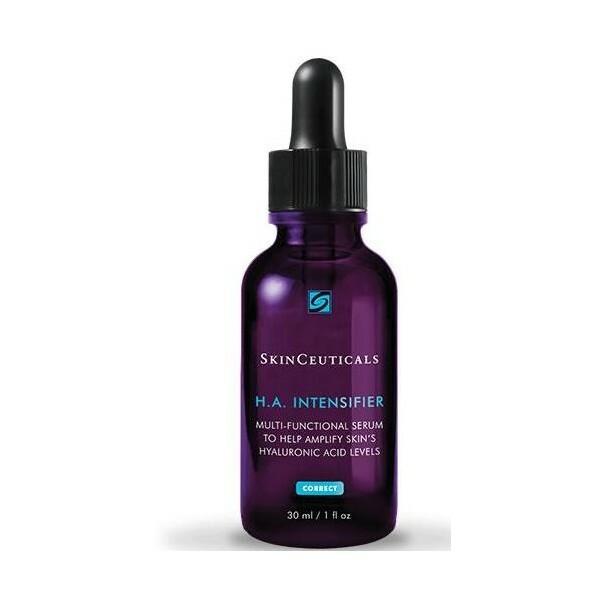 Skinceuticals' Hyaluronic Acid Intensifier is a multi-benefit and proven efficacy correcting serum that increases hyaluronic acid levels in the skin. This unique formulation contains a high concentration of pure hyaluronic acid, proxylane ™ and natural extracts of licorice root and purple rice to maintain hyaluronic acid levels in the skin and provide hydration while helping to improve volume, firmness, and smoothness . Increases hyaluronic acid levels by 30%. Reduces the appearance of nasolabial grooves, puppet lines and crow's feet for firmer, smoother skin. Provides lasting hydration to visibly improve the appearance of the skin. The unique gel texture of this serum creates a smooth finish on the skin. 10% PROXYLANE ™ to help improve skin firmness. 2.0% licorice root extract (dipotassium glycyrrhizate) + 0.2% purple rice extract: these potent ingredients work together to add volume to the skin. 1.3% hyaluronic acid: This powerful natural moisturizer provides lasting hydration to enhance the appearance of skin texture. 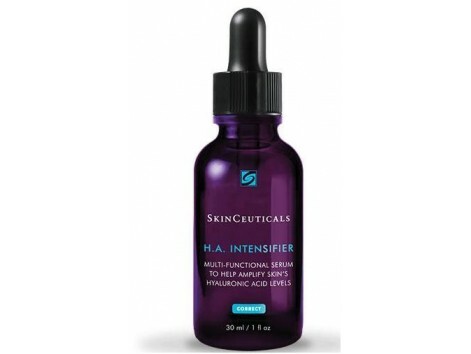 How to use Skinceuticals Hyaluronic Acid Intensifer serum? Remove the cap and remove the pipette from the container. Tighten the pear and put the cap back into the container. Release slowly to fill the product. Apply 4 to 6 drops in the palm of the hand and distribute this amount between the forehead, cheeks, chin and neck. Extend the product to the skin.